Membrane switches are electrical controls for turning a circuit on and off. Backlighting a membrane switch is a great way to market the application and make the legends and keys easier to read. 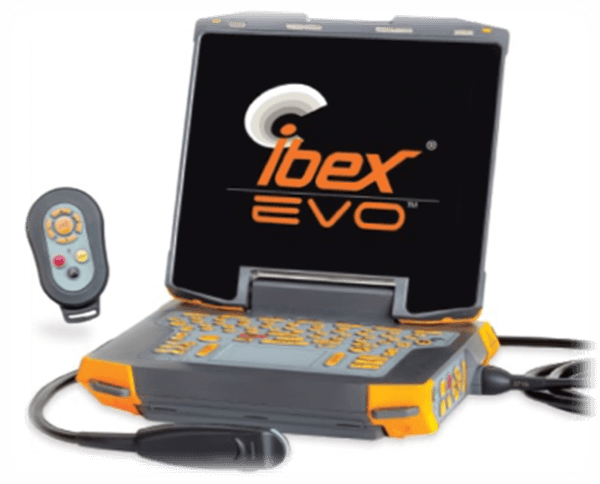 Our customer is proud to be the only U.S. based manufacturer of portable, state-of-the-art, real-time ultrasound scanners for veterinarians and livestock producers world-wide. Multiple LED Side Emitting standard sources including medical and aerospace grade in all colors, including RGBW. 3M Adhesives, High Reflective Inks, Flame Retardant Construction. Optimum LED layout uses a minimum transition of 6mm to properly spread the light. Shorter transition lengths can be accommodated through optical pattern designs and led spacing. Light Guide only: Customer supplies their own light source and electronics. Light Guide and Source Customer only needs to supply power. Light Guide, Source, Electronics Lumitex provides full integration into customer's design including diffusion layers, brightness enhancing films, electronic components, PCB/FPC's, cabling, and packaging. When our customer decided to modernize one of their passenger control units to enhance traveler experience and provide a more sophisticated look to their airplanes, they approached Lumitex for lighting solution. Our engineering team was able to provide a combination of benefits that no other backlighting technology could match. With eight layers between the slim aluminum bezel base and overlay, we needed a compact, bright, uniform light that wouldn't sacrifice the tactile response of the switch. The design flexibility and thinness of Lumitex's Clad Flat Fiber™ allowed us to seamlessly create a custom solution. At only 0.2mm thick, we extracted light only where it was needed to maximize light output with minimal disruption to the dome switch layer. The superior performance of this user-friendly light guide resulted in our engineers being tasked to produce custom lighting solutions for a variety of their passenger control units. 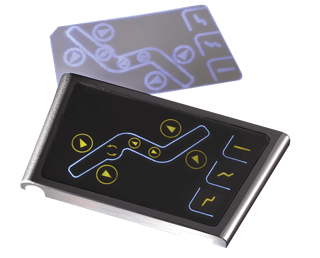 When developing the latest and most advanced model in its family, their design team presented Lumitex with an opportunity to backlight the membrane switch keypad. With its unique circuitry and limited real estate under the rubber keypad, Lumitex Clad Flat Fiber™ technology offered a great fit. Our engineers were able to easily develop a custom solution conforming to the complex geometry. The intense light of the Lumitex .3mm Clad Flat Fiber™ material was strong enough to provide superior illumination and its thin profile offered exceptional tactile response and effortless integration. Because of this, Lumitex was awarded the business.